Three Eclipses, no waiting! June 1st, June 15th, and July first all feature some remarkable stuff. Big, interesting, potentially life-changing stuff. Listen in and find out how it will affect YOU! ...and hey, did you catch my Tuesday show with Nora Jean Stone, of the SF Astrological Society? What, you didn't? Here it is! Repairing Your Love Life With Astrology! Marguerite Manning, author of "Cosmic Karma"! ...and Christopher Witecki of Soulgarden.tv! 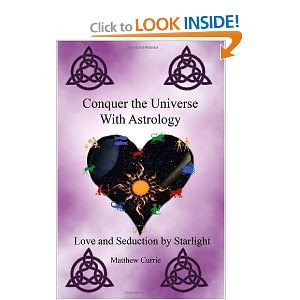 Conquer Your Love Life With Astrology! Astrology can provide a lot of practical help with life... you probably already know about compatibility and predictive astrology. But of course, the observable events of your life are only half the story: your inner life colors and directs everything around it. And when that Inner Life paints everything in shades of blue, it doesn't matter how well or how badly life is really running... it's just all blue. What can astrology do to help? The old grey donkey Eeyore stood by himself in a thistly corner of the Forest, his front feet well apart, his head on one side, and thought about things. Sometimes he thought sadly to himself, "Why?" and sometimes he thought, "Wherefore?" and sometimes he thought, "Inasmuch as which?" and sometimes he didn't quite know what he was thinking about. 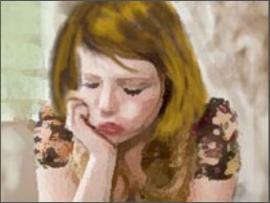 Depression is probably the most widespread mental health issue people face. Billions of dollars in research, and billions of dollars spent on prescriptions (and prescriptions to boost your prescriptions), books, and more forms of therapy than you can shake a stick at... and are we really any closer to a "cure"? And can astrology really provide help? Yes it can. Tomorrow, May 10th at 2 PM Eastern (11 AM Pacific) listen in to find out how. Give me five minutes of your time... I'll give you a work week's worth of forecast!